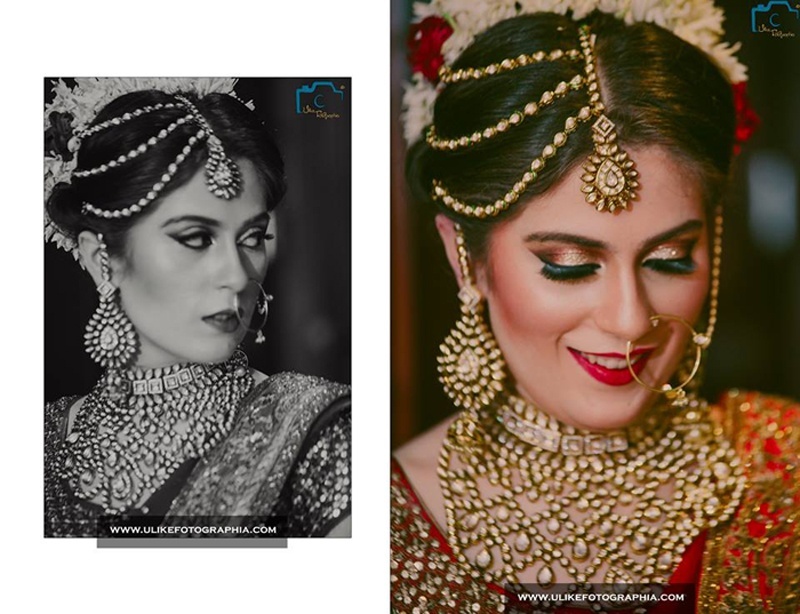 Are Half Matha Pattis the Newest Bridal Jewellery Trend? Who knew Meenakumari from Pakeezah would serve as inspiration to 21st century brides?! While this 70’s beauty posed as a courtesan in one of Kamal Amrohi’s finest movies, brides today are wearing this stylish piece and pulling it off flawlessly. The half maatha patti along with Shararas and full sleeved blouses have made a comeback yeilding to the clichéd “History repeats itself” idiom, with its own contemporary twist. While the timeless beauty, Meenakumari’s multi-strand half maathapatti was all gold with pearls and white beads, designs now also feature polki, gemstones and diamonds too – a perfect mix of traditional and contemporary. If you’re doing a sufi-themed sangeet or you simply want to up the style factor on your wedding day then make sure the half matha-patti is part of your bridal ensemble – you’ll surely be turning heads.